Spaulding Clinical Research, LLC invites you to meet us at OCT Midwest 2016 and learn how our paperless, 200-Bed Phase I Clinic and innovative ECG Core Laboratory technology can accelerate your drug's development. Spaulding Clinical Research, LLC announced that the Electrocardiograph 2100iQ™ is to be exhibited at the Drug Information Association's (DIA) 2016 conference. 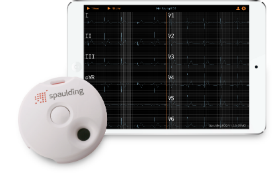 The Spaulding 12-Lead ECG product line was originally launched in 2011 and is now in over 35 countries. The Electrocardiograph 2100iQ™ has been optimized to visualize collected real-time digital ECG data via Bluetooth™ using iOS™ 7+, Android™ 4.2+ and Windows™ 7+ devices. It's small, lightweight, and has single button operation for ease of use. Stores up to 5 minutes of ECG data which can be automatically uploaded wirelessly to the Spaulding webECG™ managment cloud. June 07, 2016 Spaulding Clinical Research, LLC announced the addition of Shane Braninburg as Senior Director of Core Lab Services. 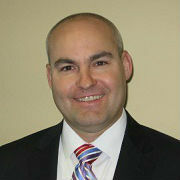 He brings more than 15 years of global business expertise, including extensive operational experience in Cardiac Safety Services. Mr. Braninburg is responsible for supporting the rapid growth of Spaulding's ECG Core Lab, including the launch of the Spaulding Electrocardiograph 2100iQ™.